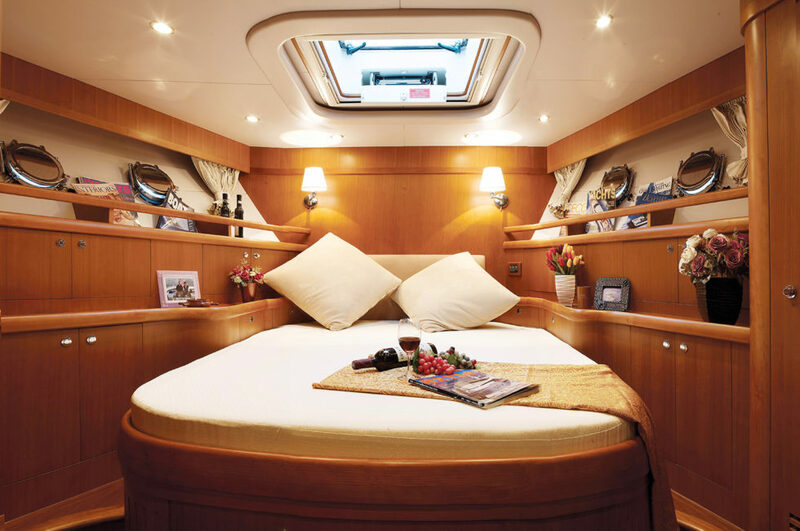 The Selene 66 is built on the same hull mold as the Selene 62 and the increase in length allows for significant expansion of living and operating spaces throughout the yacht. 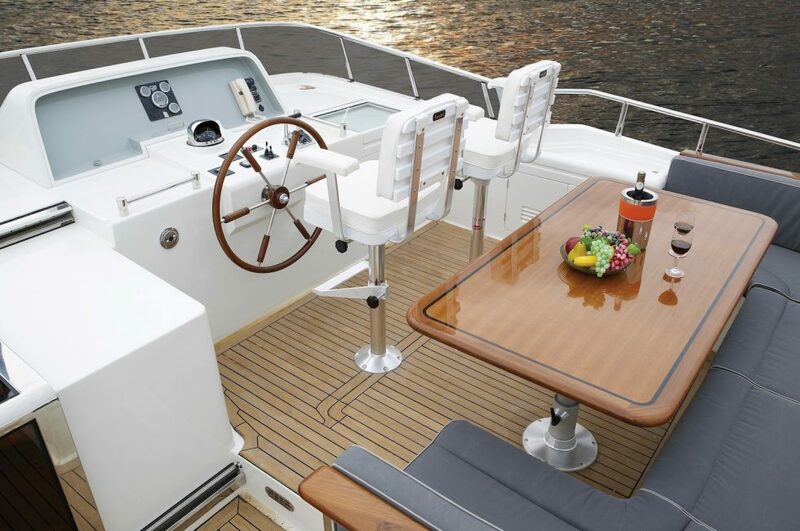 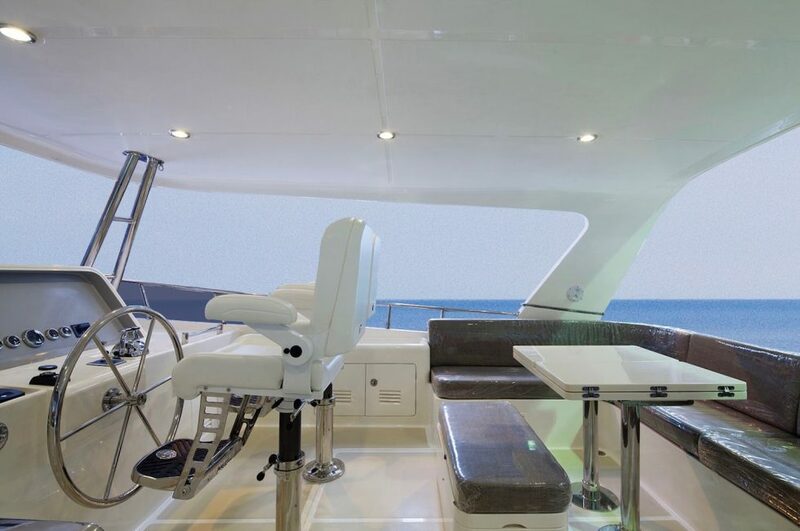 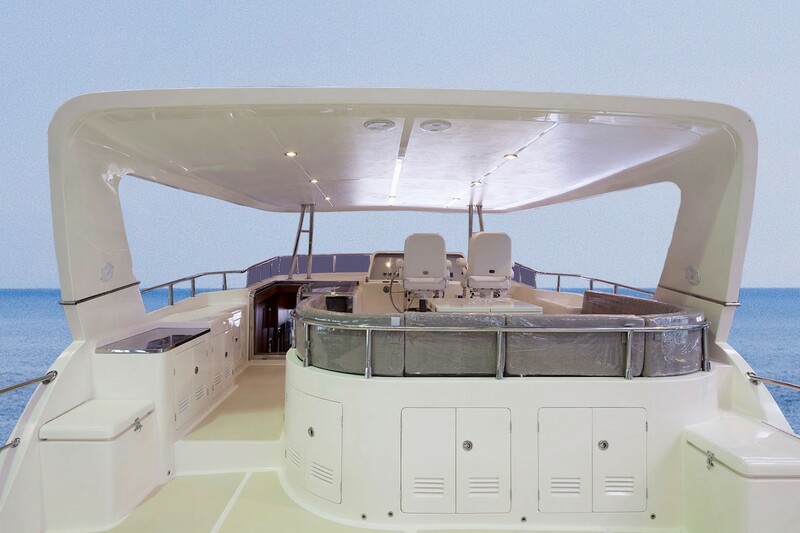 An extended cockpit adds 7-3/4 inches (19,7 cm) to the covered deck making room for lounge chairs in addition to the built-in settee while still leaving plenty of room to access the rounded stairway leading up to the flybridge. 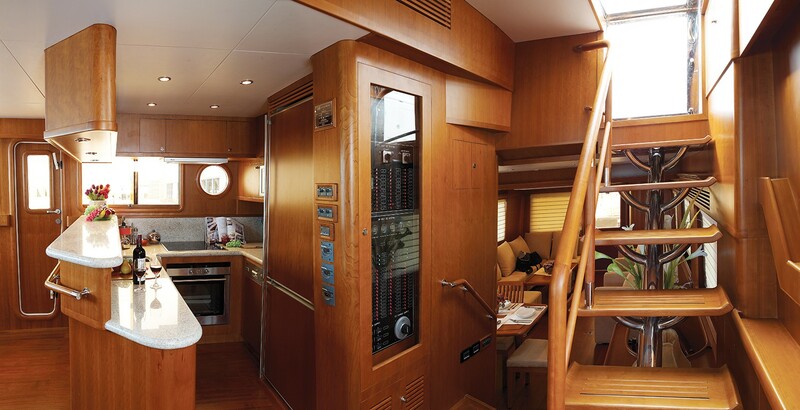 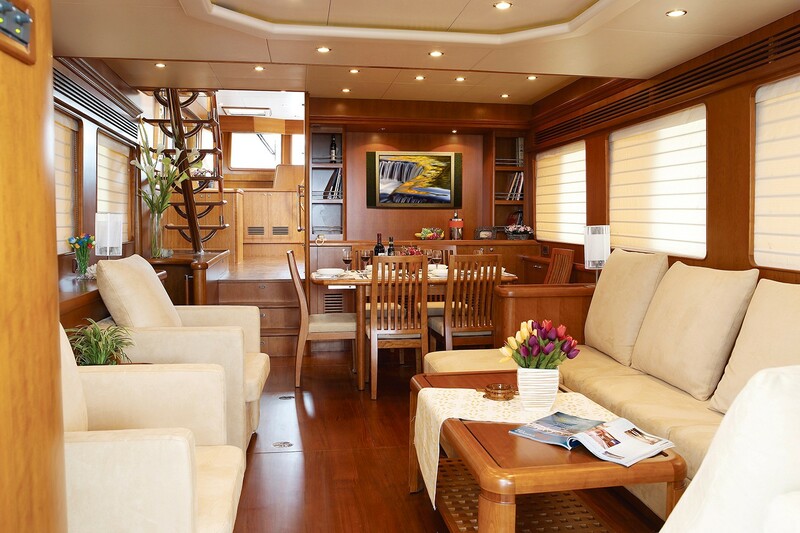 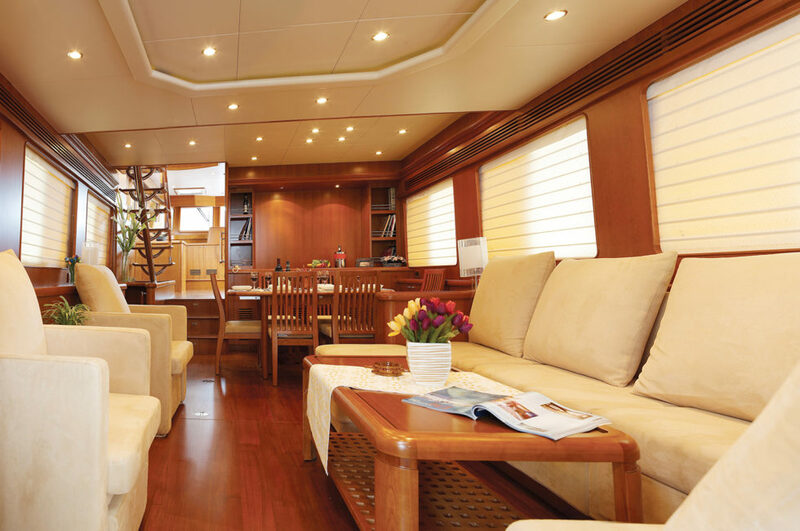 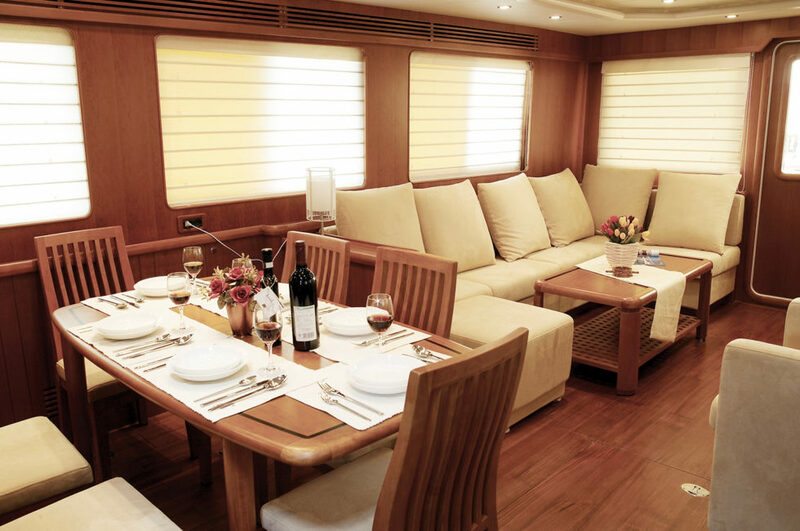 With the overall increase in the LOA of the Selene 66, the living space of the saloon is 27-inch (68,6 cm) longer. The full living and dining area is on the salon level and is entered into from the cockpit. 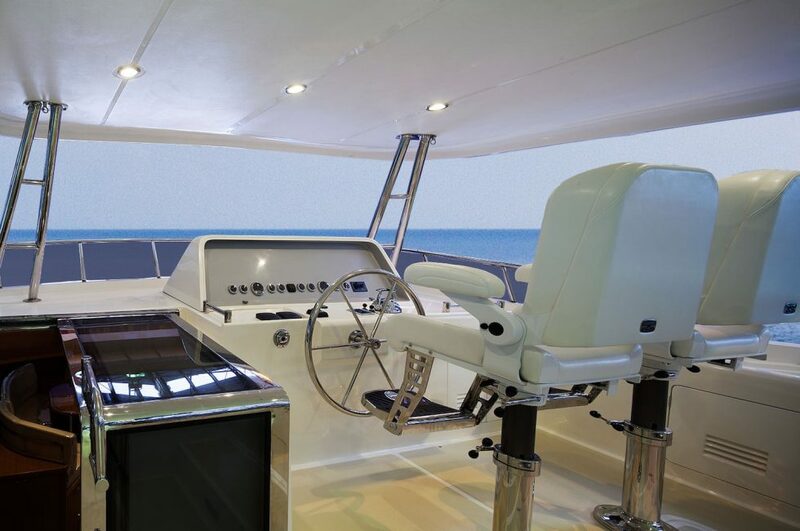 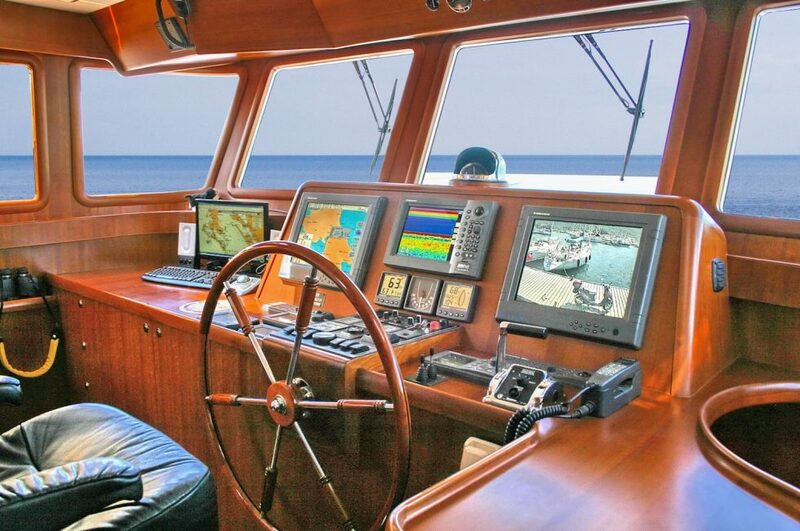 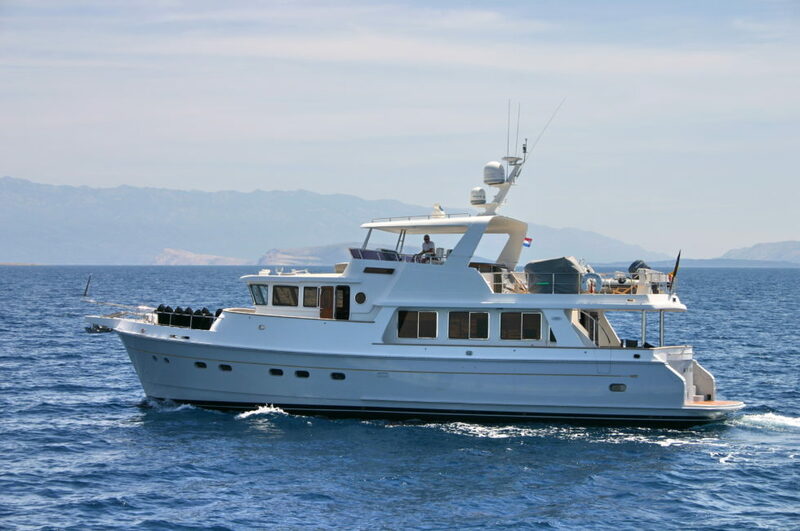 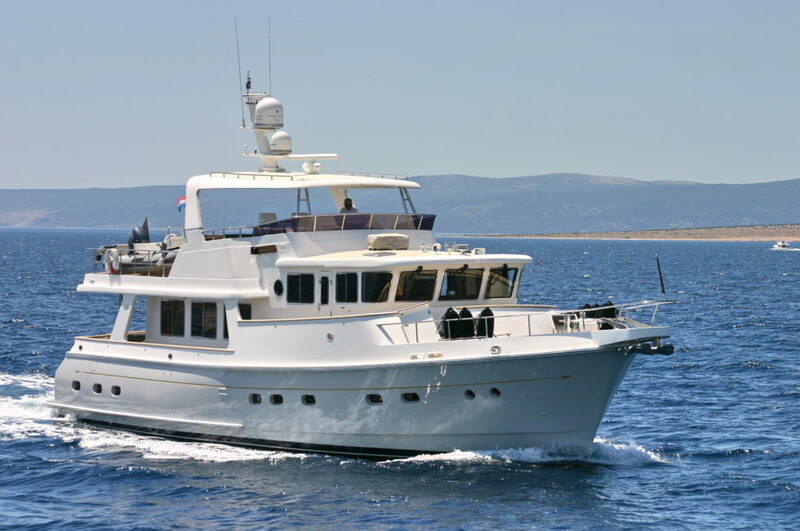 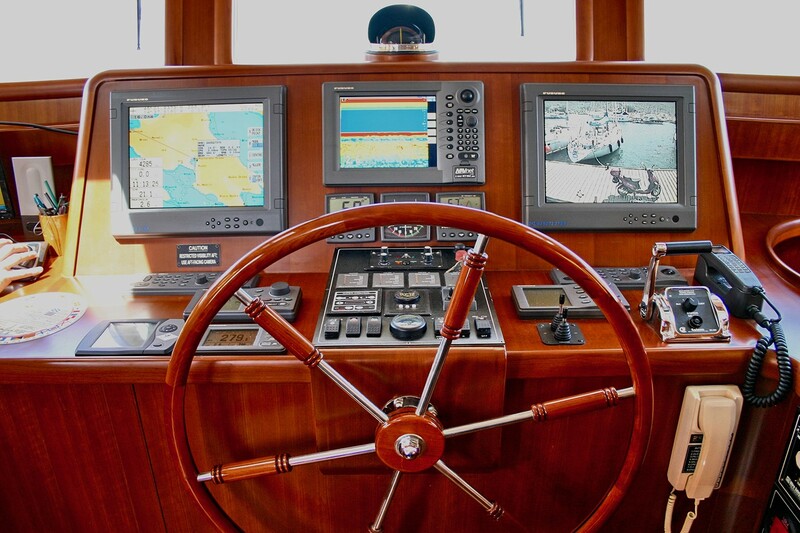 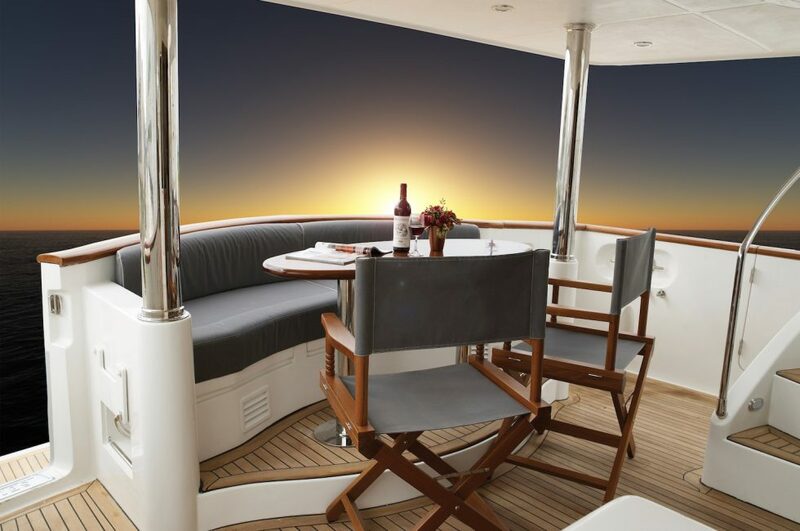 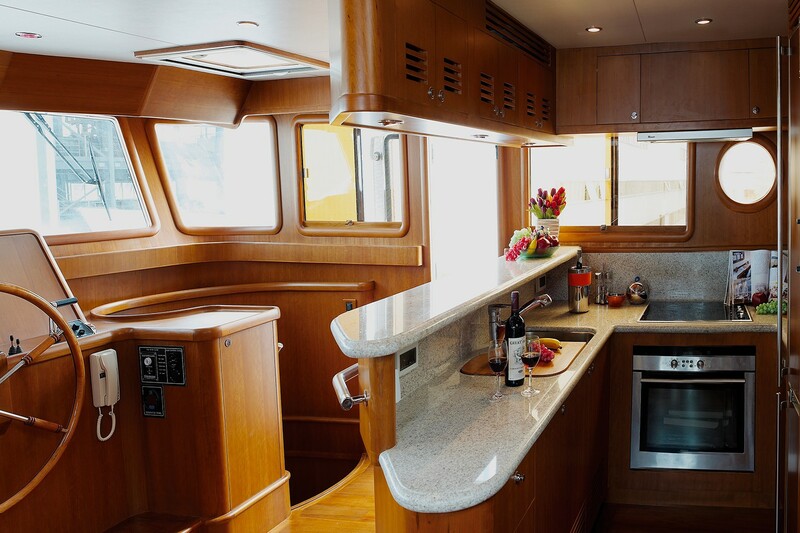 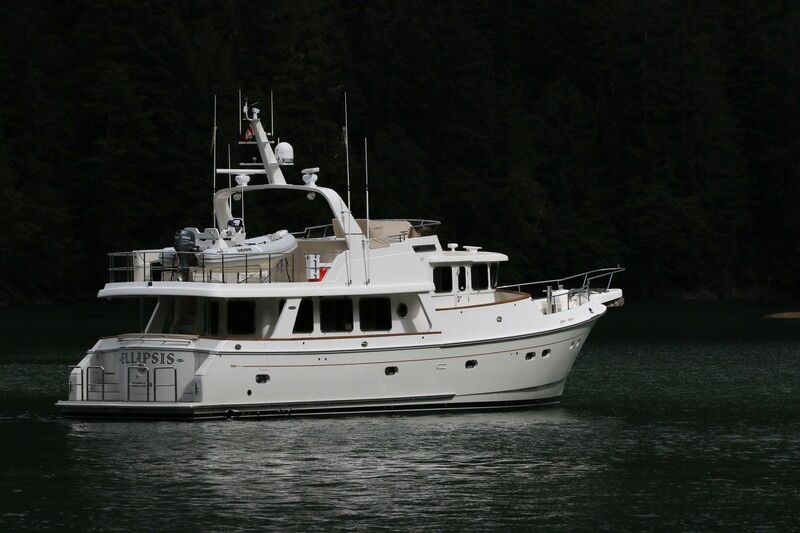 A spacious pilothouse includes a sky lounge behind the helm, or a galley, so passengers or the cook have an outstanding view from the surrounding windows. 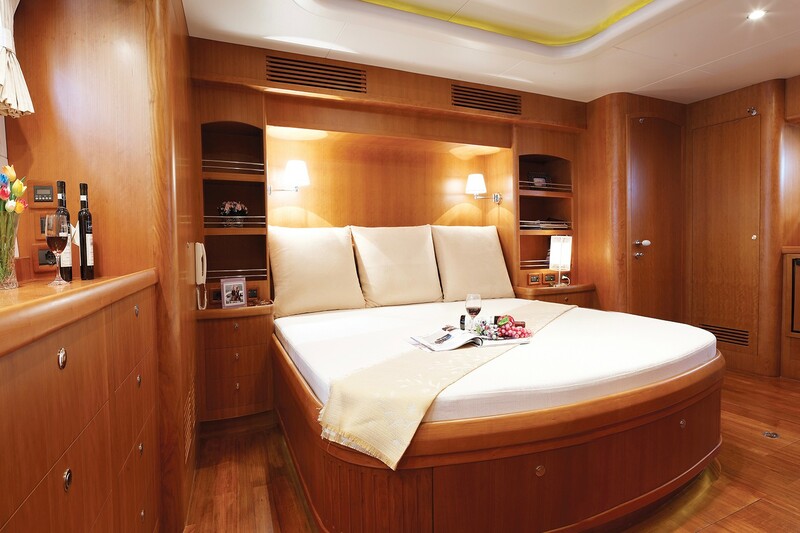 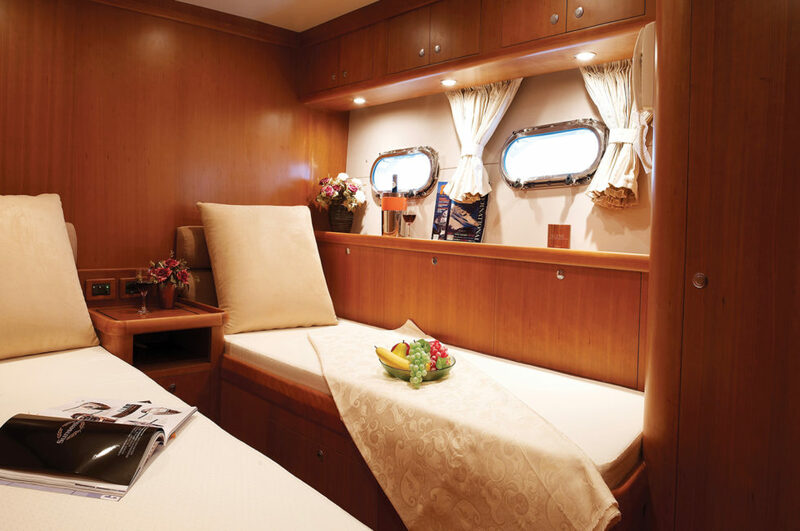 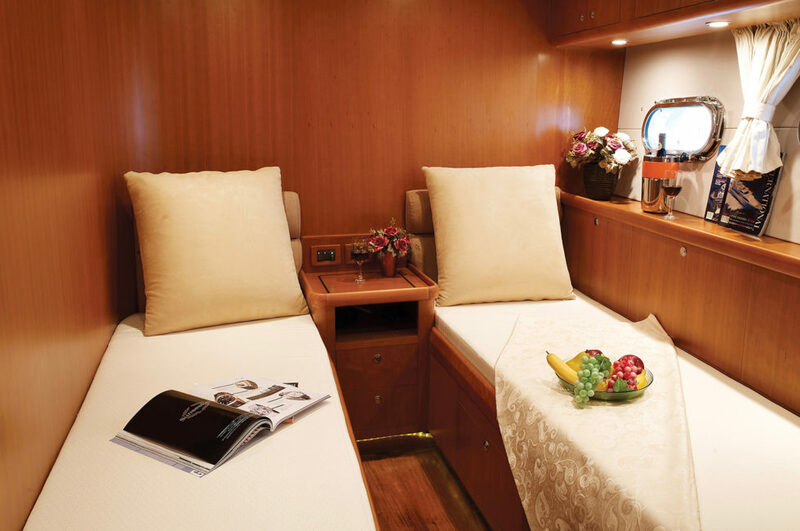 Owners will enjoy a superb three-stateroom layout with crew quarters aft of the engine room or a large technical compartment, and, obviously all staterooms have ensuite heads. 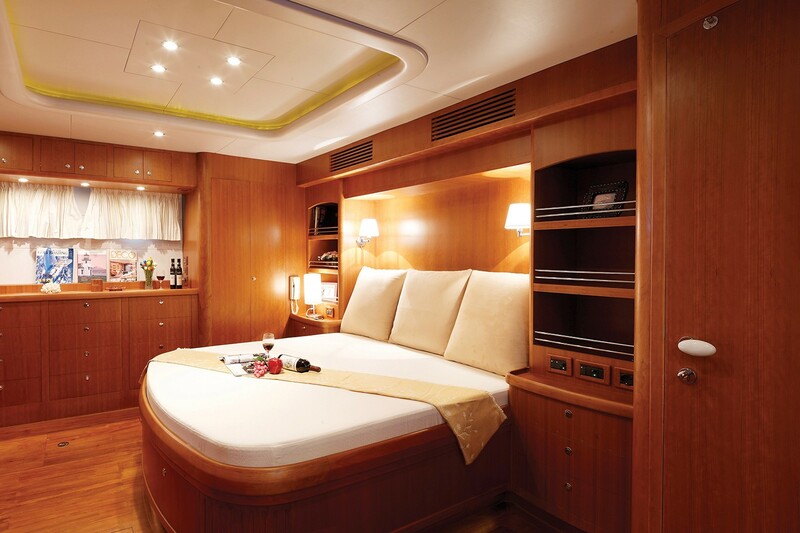 The master stateroom is complete with a vanity, full length closets, and a writing desk. 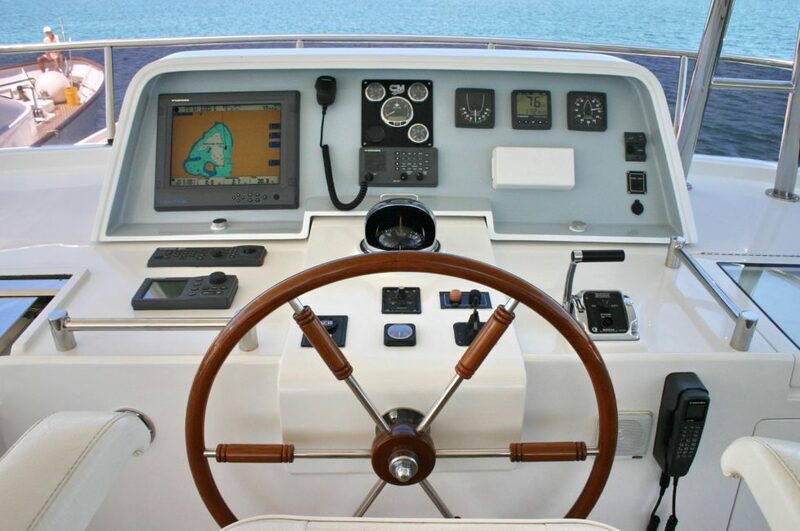 The flybridge can be accessed from the stairway in the cockpit or from a stairway in the pilothouse. 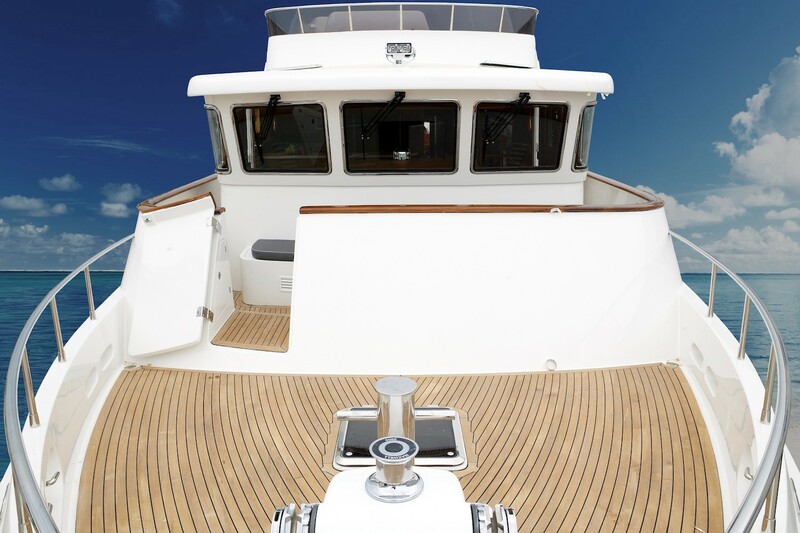 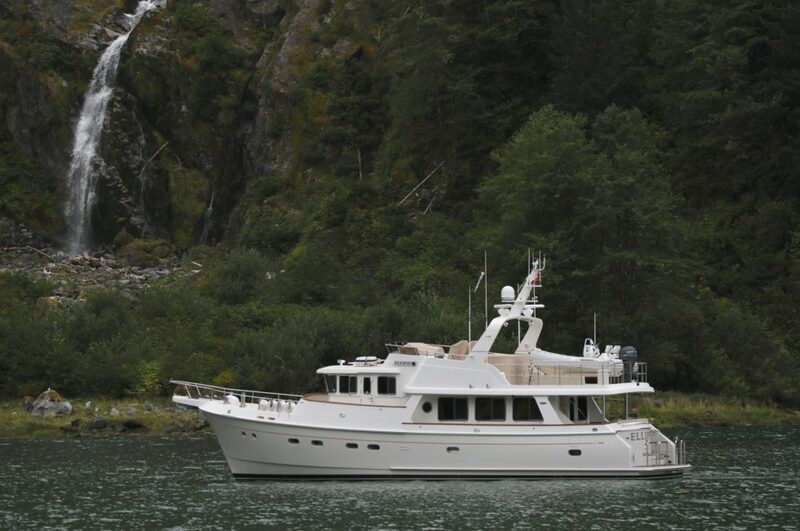 The flybridge is 37 inches (94 cm) longer than her 62-foot sister-ship which allows for extended deck space that can accommodate a large tender as well as comfortable seating for eight. 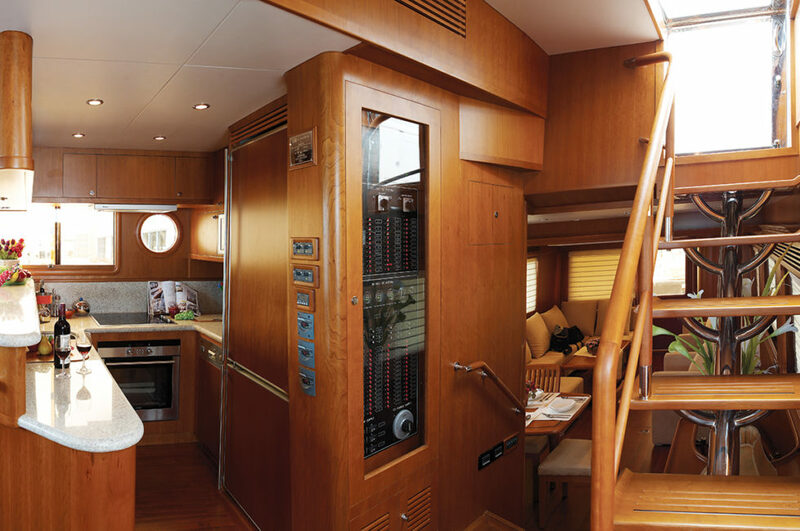 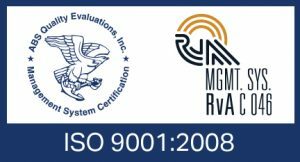 Machinery space was not neglected and systems are easily accessed through a transom door, or side deck door. 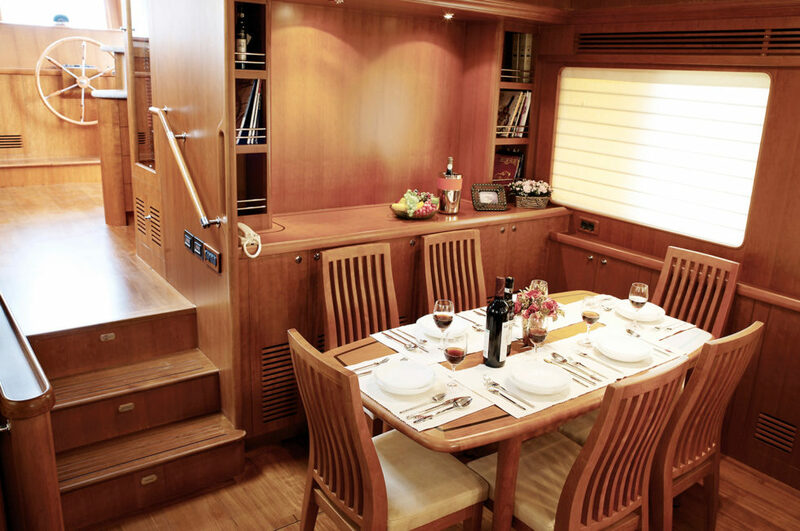 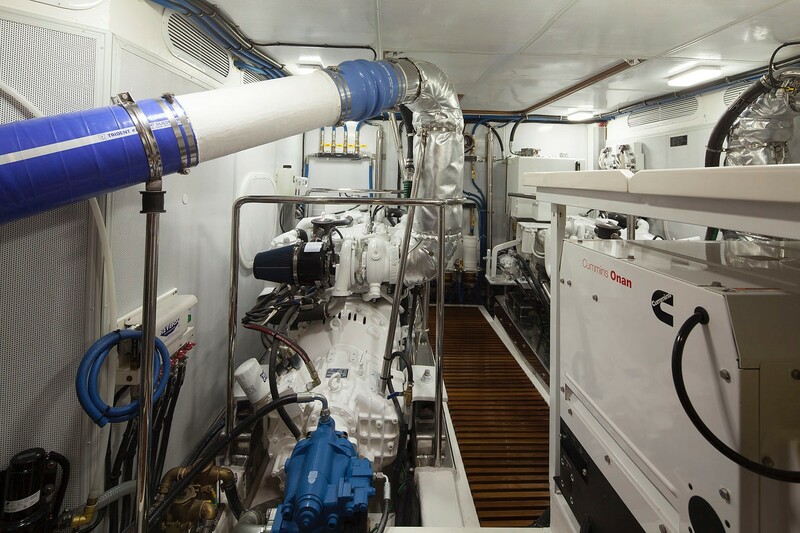 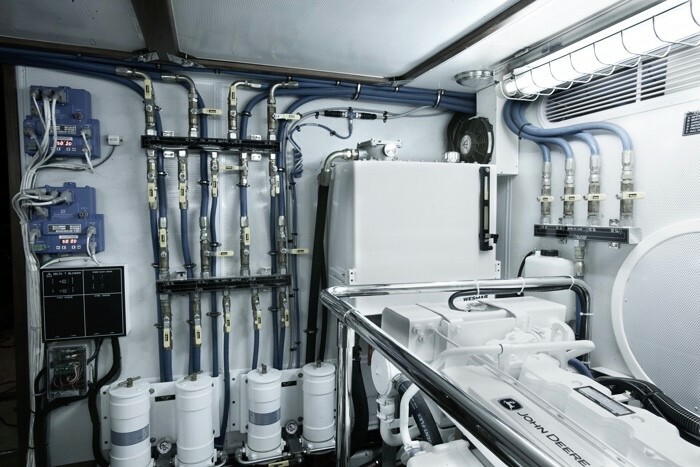 The engine room features full standing headroom up to 6’2” (1,82 m). 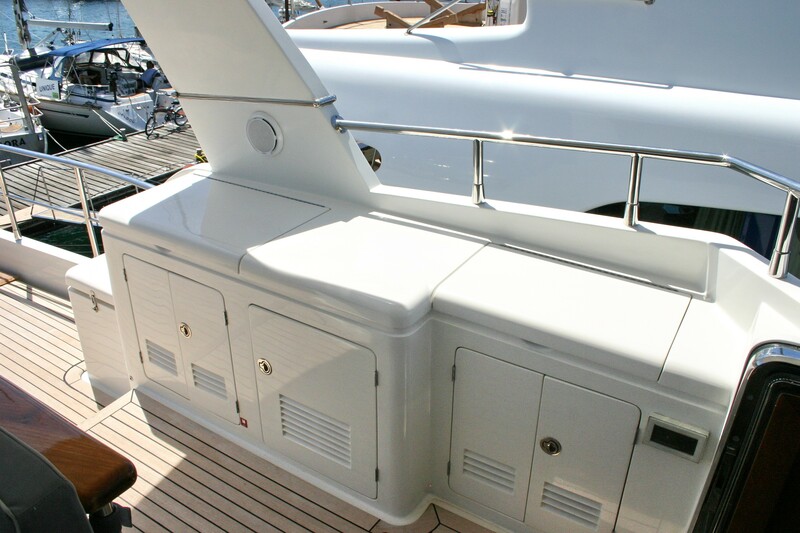 All major components are within reach for ease of maintenance. 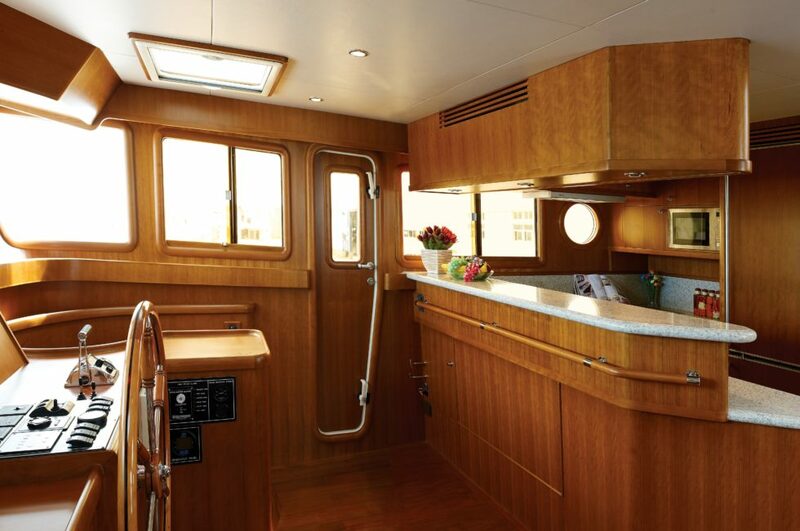 In addition a massive lazarette has room for separate washer and dryer units stored under a workbench. The lazarette also includes a sink and freezer. 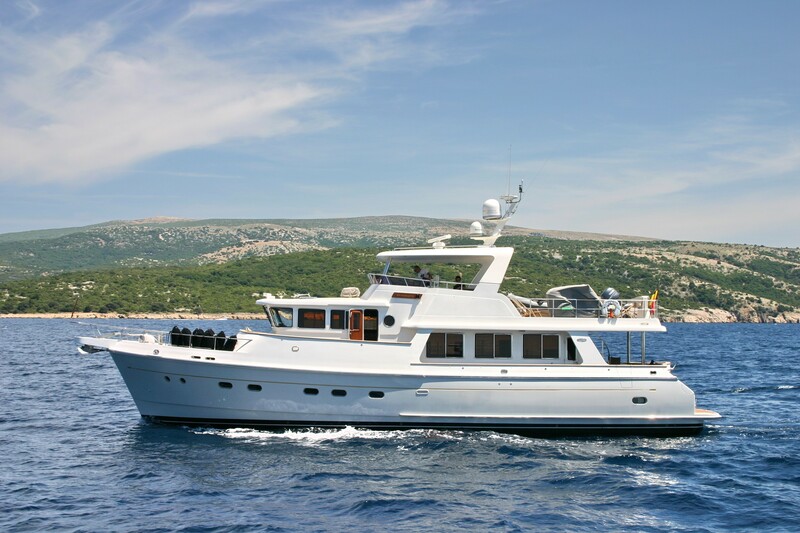 As a seasoned owner and mariner commented « the Selene 66 is a bastion of luxury doubling as a no-nonsense efficient and safe passage maker! ».